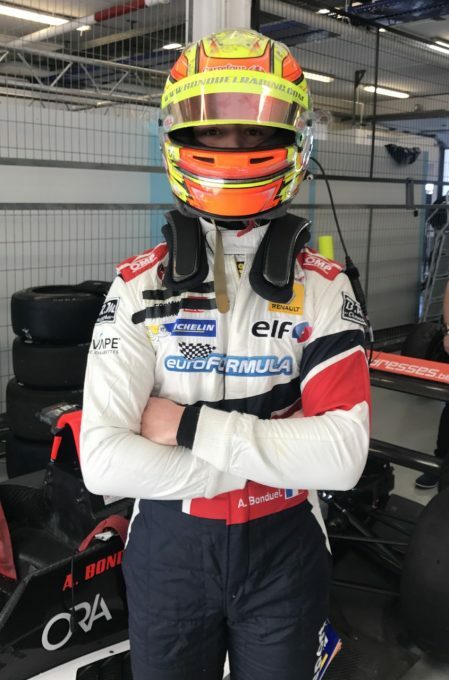 Back on the circuit after a year taking 2018 off, due to a lack of funds, the young and talented Belgian driver Amaury Bonduel, is making his comeback to the tracks this season! 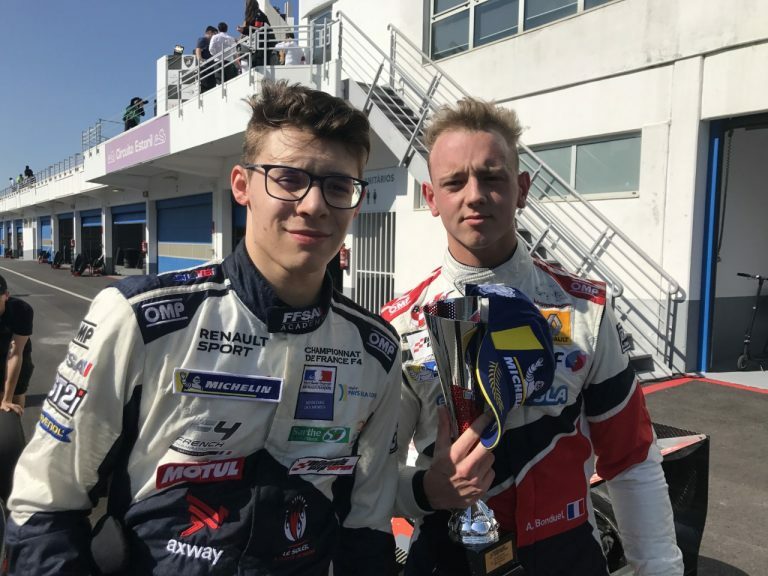 Amaury has chosen to drive in the new championship created during the inter-season by Vincent Vigier, with the partnership of Michelin, the Ultimate Cup Series Auto. Indeed, at the wheel of his Formula Renault 2-liter car, Amaury, performed to say the least, winning two of the three heats, coming second in the first of the three races over the weekend of this opening round of the 2019 calendar, being beaten by … only 0.046, less than five thousandths of a second! 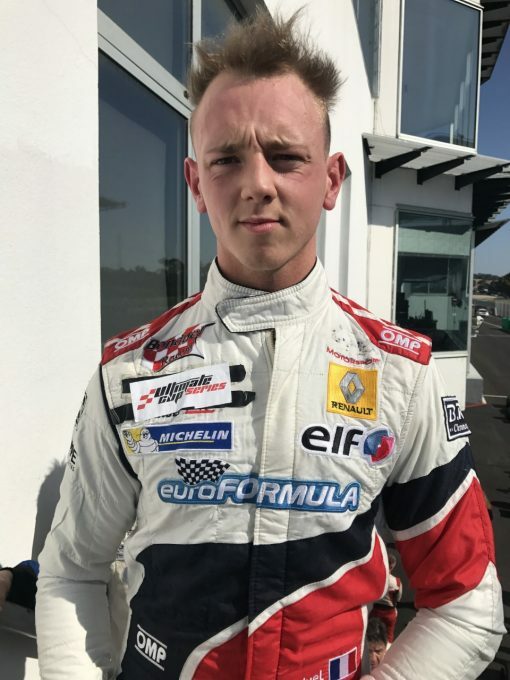 Result, the young man leaves Portugal this Sunday, largely ahead of the provisional leaderboard of his single seater category. And from that Amaury started on pole this Sunday morning. In the first heat Saturday morning, I had a good start and was second at the end of the first lap. I stayed behind Morabito all the way, waiting for the right moment to attempt to overtake, realizing that I was following him with ease. In the last two laps, I was right behind him and I was waiting for the opening, and in the last corner, I went for him from outside and found myself in the lead, but he got past me on the final straight and under the checkered flag, got the victory with five thousandths of a second (0.046). On the spot, I was a little annoyed but nevertheless happy to be on the podium for my return. So then, starting from the 1st row, it was already easier. I had a good start and was 1st at the exit of the first corner. I had a better set-up and better settings, I felt more at ease driving, because the LAMO team had worked hard to improve my car. Before the safety car entered the track in the 3rd lap, following the clash between Malhomme and Rykart, I had more than six seconds ahead of Morabito. At the re-start, sixteen minutes out of the thirty remained. Over the course of the laps, he accentuated his lead over the Italian and logically crossed the finish line with a comfortable lead he had increased to four seconds. I was delighted with this first win of the season after having been so close in the morning. Super happy also for the LAMO team that has trusted me and is satisfied to win a race this early in the season. Once again, I was on pole in front of Morabito. The start was a little complicated because my tires had a little trouble warming up and I could not get all the power i needed from the first laps. Morabito attempted a braking attack on Turn 3 and then the next, missing his breaking point, I put myself on the inside, and then, leaving me no room, we came together. He spun and I suddenly found myself … third, because Augustin Collinot and Franck Gauvin, had made the most of the situation and overtook me. I then began the recovery and a lap later, I carried out my attack on Gauvin which got me in second place. Then, a few turns after, I did the same to Collinot and had then secured 1st position. I took this opportunity to accelerate and widen the gap to escape and finally win for the second time this weekend, with 2.958 seconds ahead, the event being stopped due it being red flagged by Patrick Morisseau (race director). I won for the second time and I really am thrilled. My objective this year is to win the title with the No.1 goal to win as many victories as possible. I am really, really happy with my debut and look forward with impatience, the next stage in late April, on the circuit of Dijon. 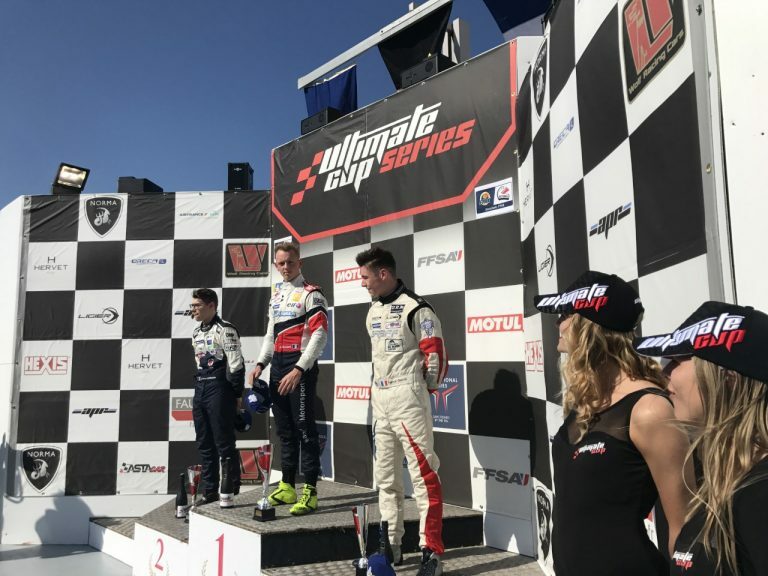 In conclusion, Amaury made his mark on this first meeting of the Ultimate Cup Series in single-seater and he is already definitely part of the candidates to win the title at the end of the season, at Paul Ricard.